BEST SELLER. 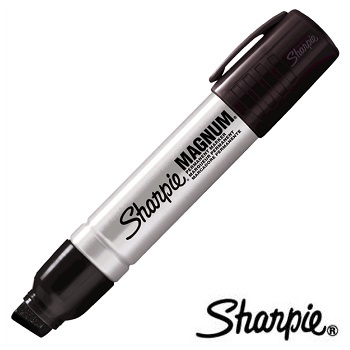 Excellent value permanent marker with low odour ink and a bullet tip. The cap has been specially designed to prevent the marker rolling off flat surfaces. 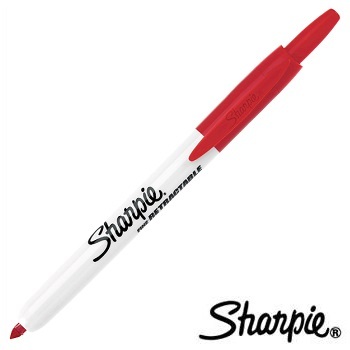 It is an ideal general purpose marker and will write on most surfaces. 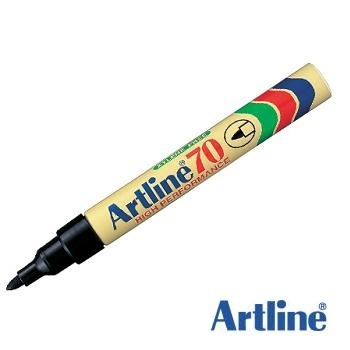 Bullet tip 5.0 mm width - Xylene and Toulene free. BEST SELLER. Excellent value permanent marker with low odour ink and a chisel tip. Chisel tip dual width (3.9 - 5.5 mm) - Xylene and Toulene free. BEST SELLER. The original Sharpie® and the No.1 permanent marker worldwide. Quick-drying alcohol-based ink is waterproof, smear proof & fade-resistant. Non toxic. 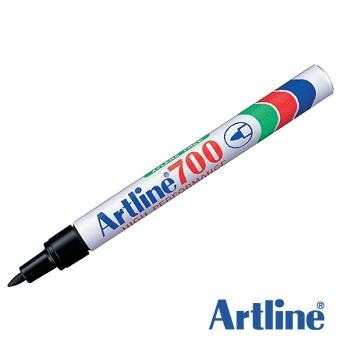 Can be used on most hard to mark surfaces including metal, glass, plastic and photographs. Fine 1.0 mm tip line width pen-style permanent marker with pocket clip for convenience. Super large ink supply extends marker life. Mark whatever you want. Bold 1.5 mm bullet tip pen-style permanent marker with pocket clip for convenience. RECOMMENDED. 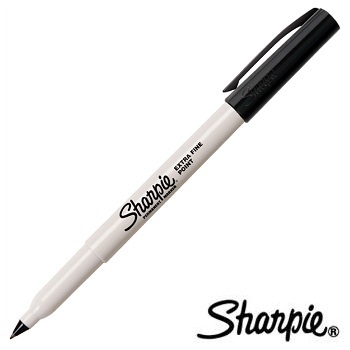 Sharpie Pro performance tip and durable metal barrel stand up to heavy use. Marks on most surfaces, even wet and oily. Excellent for marking corrugate, wood, metal, foil, stone, plastic, leather and more. Fade and water resistance. Xylene and Toulene free ink. 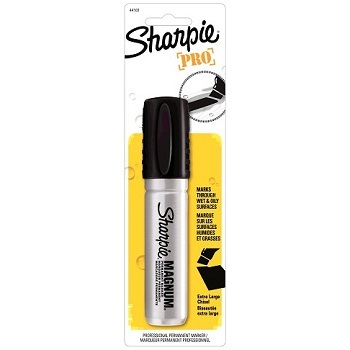 Medium Bullet tip 1.5 mm line width permanent marker with pocket clip for convenience. 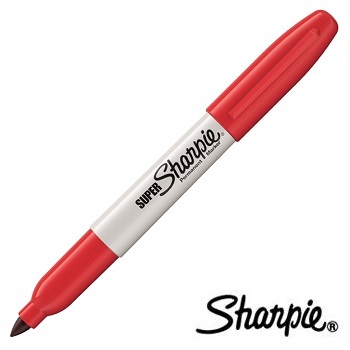 Medium Chisel tip dual line width (1.0 - 5.0 mm) permanent marker with pocket clip for convenience. Retractable fine point marker... Just click to mark permanently. Easy push button for one handed marking. Eliminates cap loss. Quick-drying, non-toxic ink formula is weather-resistant and waterproof on most surfaces. 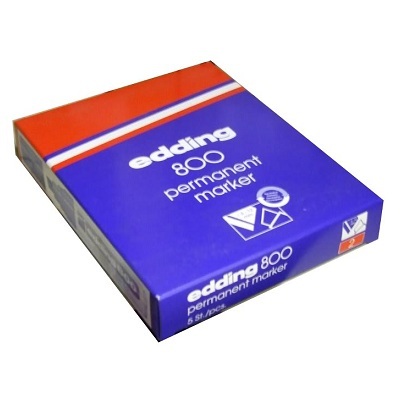 Marks on most hard-to-mark surfaces including metal, glass, wood and plastic. 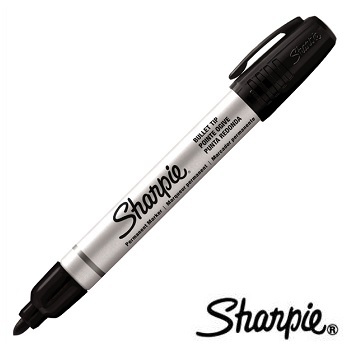 Fine Bullet tip 1.0 mm line width permanent markers with a convenient pocket clip. 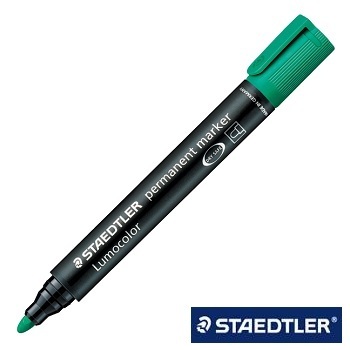 DRY SAFE Permanent Chisel Tip Markers with excellent smudge-proof and waterproof qualities on almost all surfaces. 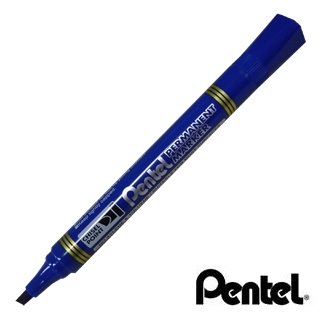 Medium Chisel tip dual line width (2.0 - 5.0 mm) permanent markers. Cap colour pocket clip. 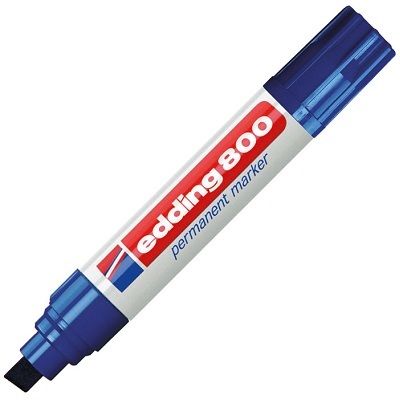 DRY SAFE Permanent Bullet Tip Markers with excellent smudge-proof and waterproof qualities on almost all surfaces. 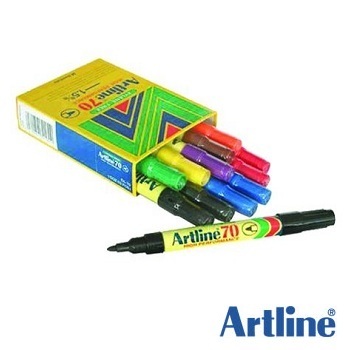 Medium Bullet tip 2.0 mm line width permanent markers. Cap colour pocket clip. 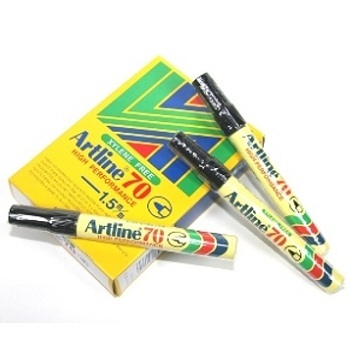 Suitable for use on cartons, paper, wood, plastic, glass and steel. Low Odour. Xylene Free. Fast-drying waterproof ink. 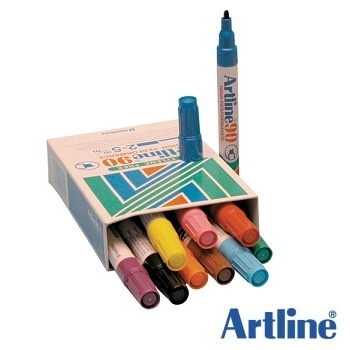 Box of 12 markers. Standard colours. Take this marker anywhere with its slim body design and a handy pocket clip. Australia's most popular, best selling bullet tip permanent marker... in more colours! 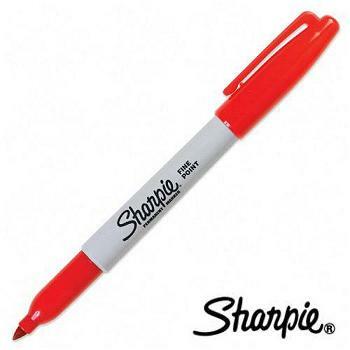 Australia's most popular, best selling chisel tip permanent marker... in more colours!